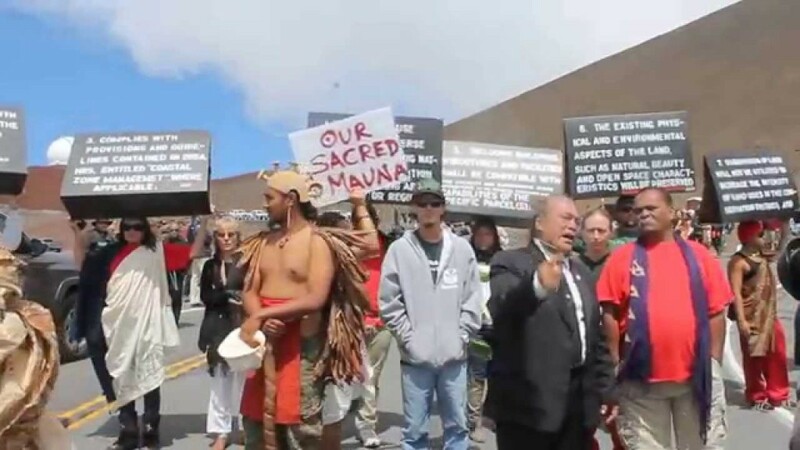 Protesters disrupt the groundbreaking ceremony for the TMT Project at Mauna Kea last year, saying the construction will desecrate the summit. I need your help to protect Mauna Kea! 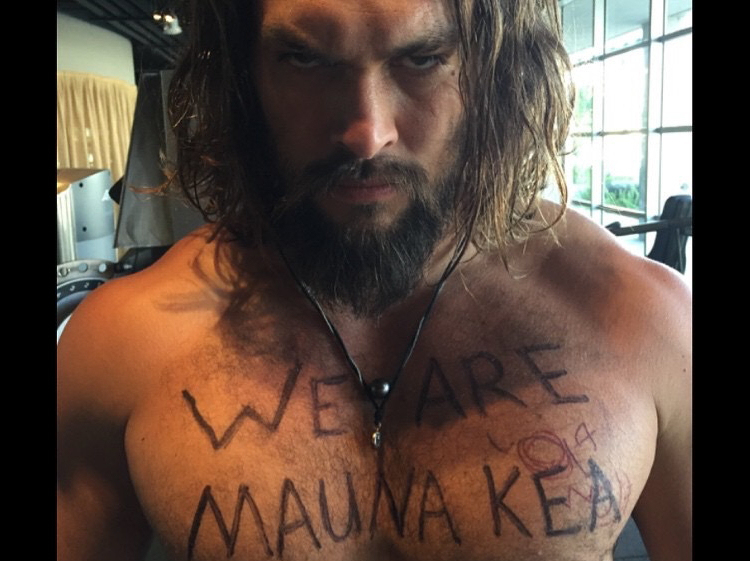 I’m asking everyone I know and everyone I don’t to take a photo of themselves holding up a sign or they can write on their shirt, or their body, whatever they feel, the words “WE ARE MAUNA KEA” and ask their friends, family, and fans to click on the link in my profile to sign the petition and learn more. We need 1million signatures. Please help, this is more than just about Mauna Kea it’s about Mother Nature and preserving her for future generations. Professional surfer Keanu Asing also expressed support for the cause of the Mauna Kea protectors in an interview. Today, Hawaii’s Governor David Ige temporarily halted construction on the TMT Project amid protests, pending “further dialogue” with protesters. However, there is no evidence that the construction project’s stoppage is permanent. For much of Hawaii’s recent history, Native Hawaiians have struggled to assert their sovereignty over their own land and destiny after a history of colonialism that has seen the exploitation of Hawaiian land and resources at the expense of Native Hawaiian people. The notion that sacred ground like Mauna Kea could be given up for a project like this — without input from Native Hawaiians, and in fact over their explicit protestations — is yet another manifestation of that colonialist mentality. • Immediately halt all TMT-related construction on Mauna Kea. • Immediately stop all arrests and other interference with those standing in protection of Mauna Kea. • Upon thorough review of the facts presented to you, revoke the CDUA that was wrongfully issued to the TMT project, and protect Mauna Kea from further destructive development from here on. We urge you to act in the spirit of ALOHA, in accordance with the laws of the State of Hawai’i and international standards protecting indigenous peoples, the environment, and Mother Earth, to take expedient action in this matter. Truly respecting the host culture of this land means respecting thesacred places that that culture has held in reverence for millennia. Doing so lays a good foundation for genuine healing of the longstanding historic wrongs that continue to affect the well-being of everyone in Hawai?i. You have an opportunity to begin a great healing process right now, and to turn the future of Hawai’i toward one that is truly pono. We urge you to take this opportunity, for all of Hawai’i and the world. Supporters are also encouraged to tweet their support to #WeAreMaunaKea.